The apartments of the Sant’Elmo Residence are set in a gorgeous and unique nature with beautiful thin sandy beaches surrounded by granite rocks. This location ensures the outmost peace and quiet throughout the year, while being only 5 km from Costa Rey and 15 km from Villasimius. Guest can enjoy and make full use of the supermarket, bar, pizzeria, bazar and sports facilities inside the resort. In 2009, Costa Rei was nominated one of the world’s top 10 beaches by the renowned travel guide publishing house “Lonely Planet”. The small hamlet is mostly populated during the summer, being a premier destination for tourists; this locality stretches for about 10 km, from Porto Pirastu to Punta Santa Giusta, and has its ideal center at the foot of Mt. Nai (200 m), from which the surrounding area derives its name. In Costa Rei we have some beautiful villas by the sea in different localities around Costa Rei, including the Villetta (small villa) Agnese, Seafront Villa, Villetta Rosanna, and the villas of Costa Rei called Stelle Marine (star fish). 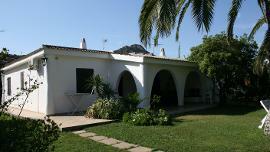 (link to the webpages of the villas). Located along Eastern Sardinia’s coast, in the Sarrabus region, 70 km from Cagliari and 80 km from Arbatax, Porto Corallo is part of the Villaputzu municipality 6 km away, and it is only 25 minutes away from the gorgeous beaches of Costa Rei. A wild and pristine Mediterranean territory. 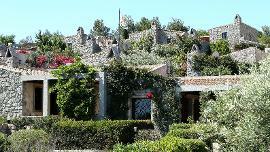 The Il Borgo Holiday Residence boasts one bedroom apartments, superior two bedroom apartments and villas by the sea. Sant'Elmo Residences offer apartments on the sea, a short distance from the beaches of Costa Rei, in the municipality of Sant 'Elmo and Cannisoni in Castiadas in the province of Cagliari. 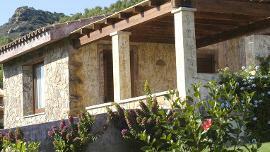 Il Borgo di Porto Corallo in Villaputzu is an apartment complex on a hill between 350 m away. to 700 m. from the beach.